It would be fair to say that field umpire Brent Wallace has had more than his share of setbacks since he was first contracted to the list in 2015. Last Thursday night Brent stepped out in his 50th AFL match following his first injury-free preseason since 2015 and nothing could be done to wipe the smile off his face. Brent, has struggled with a significant calf injury and only umpired the last 10 games of the 2018 season. Strength and Conditioning Coach, Rob Jackson has determined that Brent will do all of his training, running in patterns that he would use in a game. Hey presto, it worked. Let’s hope the next 50 come a little quicker Wally. I can’t remember a round of football where the result of so many games were in the balance with less than 5 minutes to go. They were certainly nail bitters. All the focus was rightly on the games and not on the umpiring. Matt Stevic was not able to recover from a slight hamstring he did in the opening quarter of the Melbourne v Essendon game in Round 3. Spare a thought for first time emergency field umpire, Nate Toner. Ten minutes into the first quarter he was told to warm up when Matt felt a twinge. He warmed up again at quarter time, half time and three quarter time. All to no avail. Fair to say it was a very nerve racking match for first timer Nate. 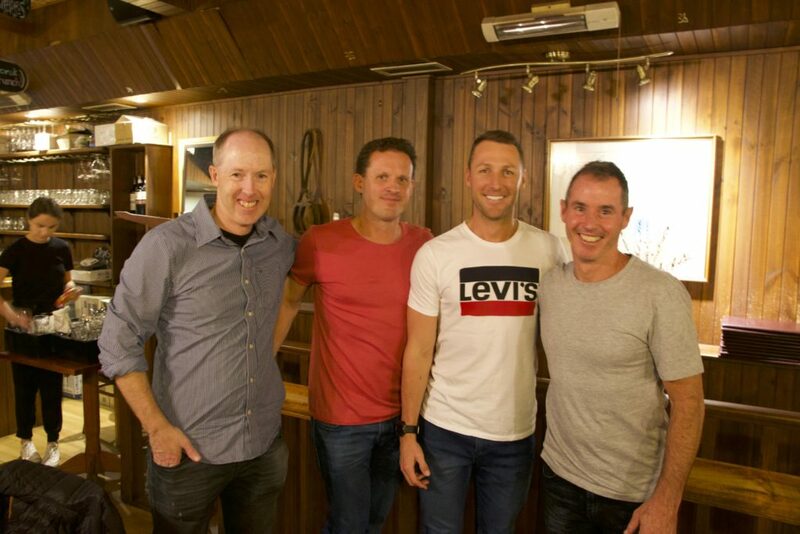 The field umpire’s all got together to celebrate Brett Rosebury’s 400th game on the Tuesday night at Romeo’s of Toorak. Brett and many other field umpires eat there regularly. 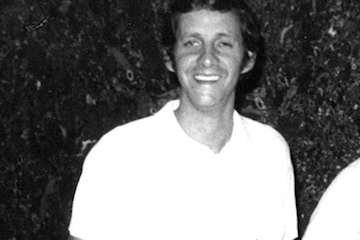 It was great to see many of Brett’s former colleagues there to celebrate also. Darren Goldspink, Derek Humphrey-Smith, Mark McKenzie, Stephen McBurney, Scott Jeffery and Justin Schmitt were just some of the older mentors who had a hand in Brett’s journey through umpiring. Former fitness coach, Damian Woods also dropped in. Towards the end of the evening conversation turned to Shane McInerney’s impending 500th game and where it might be. Shane currently has 490 games under his belt. 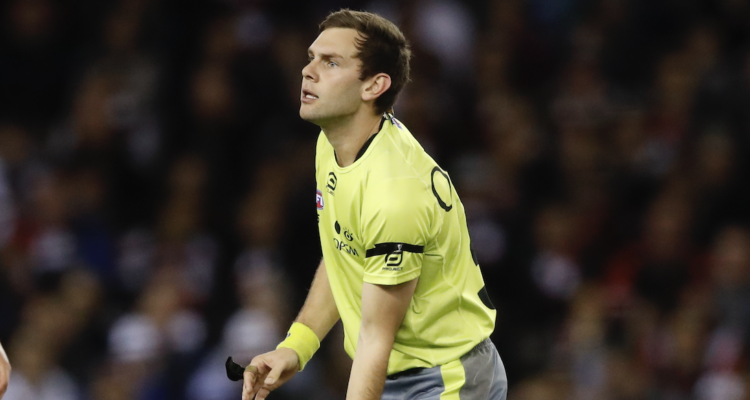 He is just 5 away from equaling the all-time record held by current AFL umpires’ coach, Hayden Kennedy. Four of our 400 game club were at Romeo’s. Our fifth 400 game umpire, Rowan Sawers was coaching his umpires in the Essendon District Football league and was unable to attend the dinner. It was good to see Nick Swanson back in for his second AFL game, following a tough initiation in Round 1. With two games under his belt he has been part of some amazing hype with both Queensland teams having good on-field success, with both teams winning all their home games. While talking about boundary umpires, ruckmen are still making the game tougher than it needs to be for our umpires. Both ruckmen are happy to stand well back from the 18 meters boundary umpires are expected to throw. It was good to see three umpires return this weekend. Alex Whetton and Eleni Glouftsis from the VFL and Mat Nicholls from injury via the VFL. Boundary umpire, Michael Saunders is out with a hamstring injury as is goal umpire Michael Craig. Otherwise the list is very healthy with the majority of umpires available for selection.